This is an 3d opengl graph ActiveX control based on the OpenGL library, which allows you to plot three-dimensional data. The control is entirely written on ATL/STL, and does not link to MFC libraries. 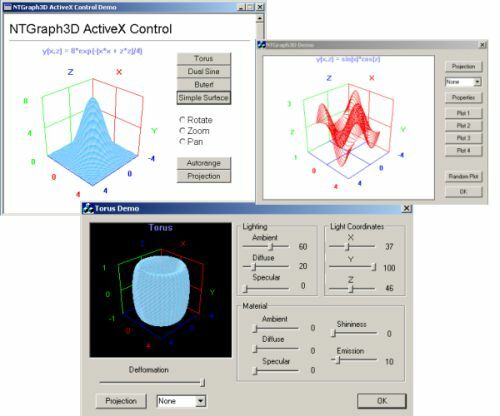 For more information on how to register and how to include the control in a VC Project, refer to my article 3D Graph ActiveX Control.